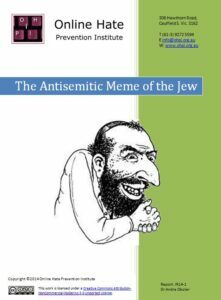 The Antisemitic Meme of the Jew is a cartoon picture depicting a negative stereotype of a Jewish man with a black beard, long hooked nose, a hunched back, crooked teeth, and hands being wrung in glee. The image was created by a white supremacist cartoonist and has been online in neo-Nazi circles since at least 2004. The report looks at the history and significance of this image. 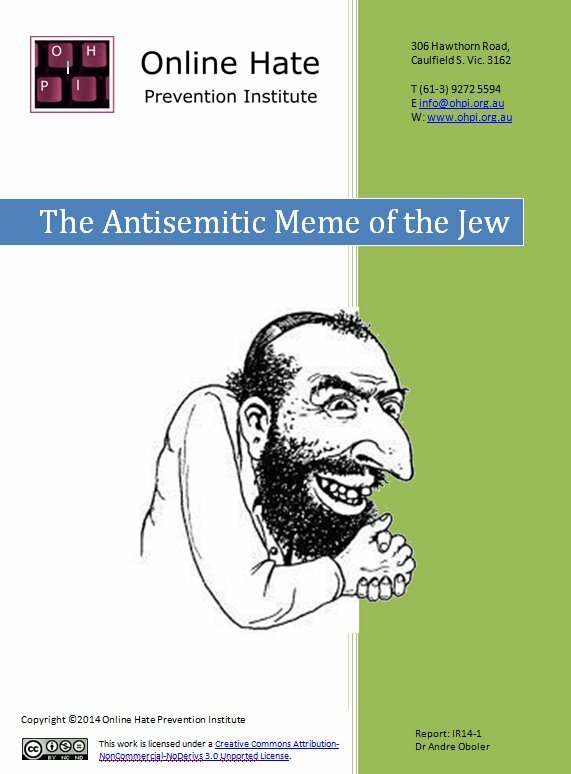 The main focus of this report is on the effort to give the antisemitic image on the cover of the report public acceptance as a part of mainstream online culture. This is being attempted through an effort to game the “Know Your Meme” website, a significant database of Internet Memes. This would increase the acceptability of using the image and significantly contribute to further normalisation of antisemitism in online society. It would take the racist portrayal of Jews from the neo-Nazi fringe into the mainstream. 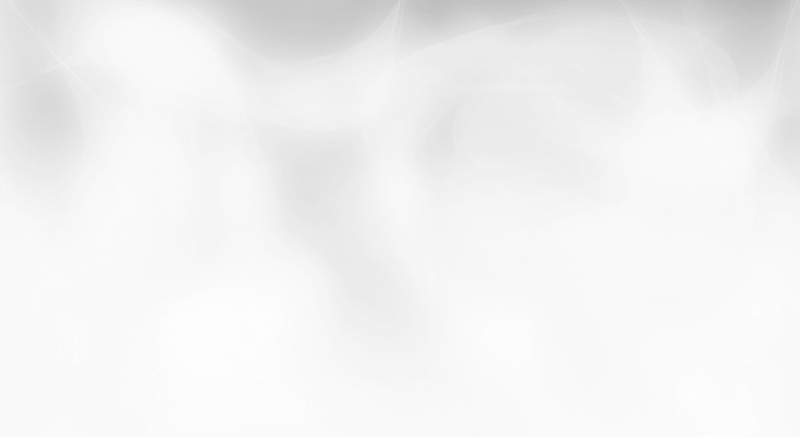 This report provides recommendations to help prevent that occurring. The report also examines the efforts to attribute a false history to the image and to promote the image and this false history through a Facebook page (see our briefing on the page). Facebook does need to improve its systems so negative feedback back (rejecting users’ reports) is minimized and those already upset and taking the time to notify Facebook of racist content are not given a message that Facebook considers the content acceptable. Even if the content is eventually removed, such a message sends a signal that the dignity of minority groups is of little value to the company. The report suggests a site like “Know Your Meme” can play a valuable count speech role in exposing the racist nature memes such as this one. This can raise awareness that such content is not acceptable in online communities. The report provides recommendations to achieve this without glorifying and promoting the hate itself. The report also discusses the “Jewish Ritual Slaughter” page which is promoting the Blood Libel on Facebook, and the return and re-removal of the Holocaust denial page “The Untold History”.